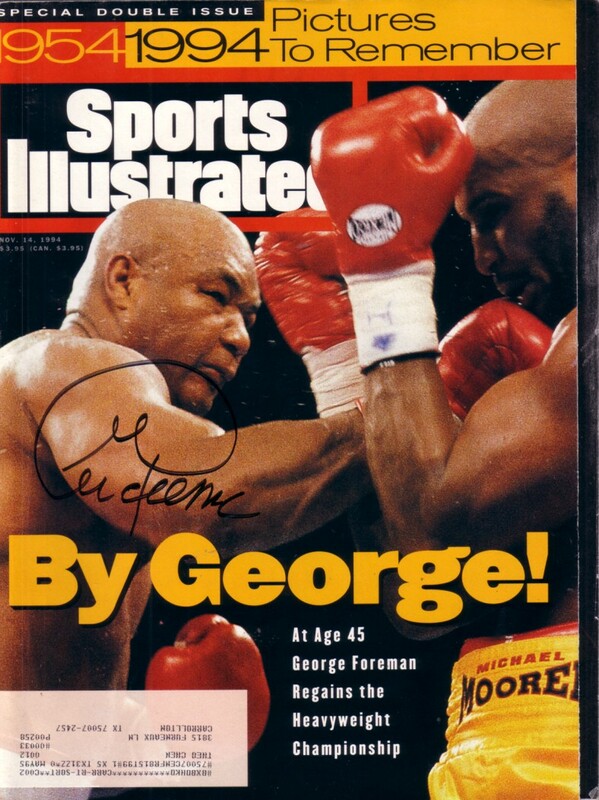 Complete November 14, 1994 issue of Sports Illustrated autographed on the cover by former heavyweight champion George Foreman. Obtained in person at promotional appearance. With certificate of authenticity from AutographsForSale.com. ONLY ONE LEFT.